Not once, not twice or even three times has Link2City.com made it into topseos.com list of top 100 Social Media Marketing agencies in the nation- but four times now when on February 8, 2014 Link2City.com was once again recognized by topseos.com in their list of TOP 100 SMM Agencies, which is always a delightful honor to any agency, as topseos.com performs a methodical evaluation of businesses, which involves using a set of evaluation criteria consisting of five areas of observation to benchmark and compare the performance of SMM consultants. This honorable and persistent recognition further confirms that Danny Sibai, the founder and owner of Link2City.com is an SEO expert that excels in a number of SEO practices and techniques. Naturally, Danny Sibai utilizes Social Media Networks to further grow the internet presence and visibility of Link2City.com’s clients. You see, Danny Sibai’s number #1 goal for Link2City.com is to provide its customers with the best results humanely possible. “There’s always room for improvement, therefore, making Danny Sibai’s and Link2City’s main goal a continuous and infinite effort to benefit their satisfied customers and always shooting for maximum results in the many internet marketing services that are provided by Danny Sibai and Link2City to an array of companies from a vast variety of industries. 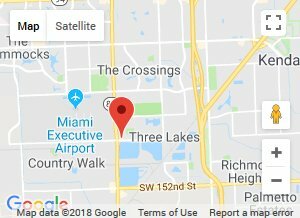 It appears as Link2City and the individual behind the highly regarded web design and internet marketing company in Miami- Danny Sibai) continue to move forward as they take older SEO techniques and practices and integrate them with current SEO practices, which is a recipe for success for Link2City, Danny Sibai and their valued customers. In a nutshell, Danny Sibai has done such an amazing job in proving himself as an SEO expert, that Link2City.com has an impressive rapport in the industry nationwide as he offers SMM services and much more to enhance business websites online presence, traffic, ranking, sales and over all online popularity for all types of businesses. Certainly, we can expect to be hearing more great updates and accomplishments from Link2City.com and Danny Sibai, as he’s an individual that’s not merely driven by only ambition, but a sense of responsibility and commitment to their valued customers. For the last 14 years, Link2City.com has been a leading Technology Company in South Florida. Their success has spanned the pre-internet digital services to today’s highly specialized on-line Development, Precision Marketing and Social Media Platforms. As a selected Google Qualified Agency, Link2City.com has been exceptional at learning, foreseeing, reinventing and most of all- at executing all of these strategies. Their customized services include Web Design, Website Production, Proprietary Search Engine Optimization, SMM, Managed Hosting, Integrated E-Commerce Solutions, Total Website Promotion, Search Engine Marketing, Pay per click – Paid Placement and Custom Programming. Please contact Link2City at www.link2city.com or 305-259-7776.